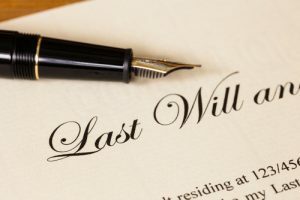 If you don’t write down what you want to happen after you die, the state has rules about who will receive your property, and they might not be the distributions you would have chosen. If you have minor children, and don’t nominate guardians for them, and die before they turn 18, a judge will pick their guardian, and the judge doesn’t know your family members like you do (or your sister-in-law). If you do not have Durable Powers of Attorney in place for health care and finance, your family will have to go to court to get a conservatorship to take care of your needs if you become incapacitated. This a public and potentially adversarial proceeding that can be easily avoided. If you do not have a living trust that’s properly funded, upon your death, a probate proceeding will be necessary to transfer your assets to your heirs. This is also a public proceeding, and its cost is a percentage of the value of your estate.